Considering a Real Estate Career? Best Value in Mossy Oaks! 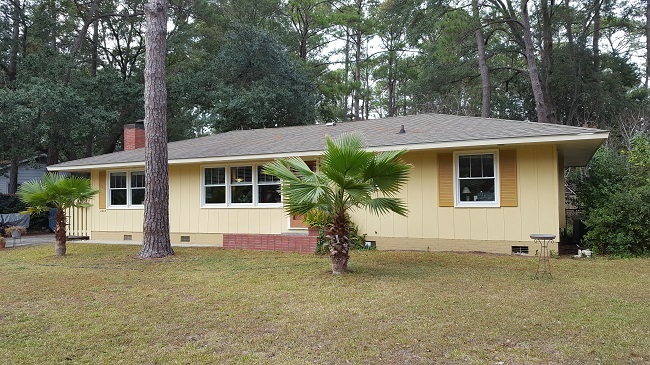 2403 Pine Court South is nestled in the Beaufort SC community of Mossy Oaks. Situated amongst Live Oaks and beautiful Lowcountry charm. The community is moments away from historic Beaufort, Ladys Island, and the neighboring town of Port Royal. Beautifully remodeled classic mid century ranch home. This 4 bedroom, 3 bath home offers a lovely open floor plan with easy flow from one room to the next. 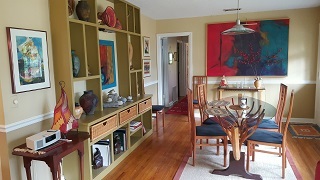 It is approximately 1699 square feet with attractive restored hardwood floors throughout the main living areas and bedrooms. Upgraded kitchen, baths, roof, and HVAC. The thermo pane windows in every room offer energy efficiency beautiful sunshine and natural light. 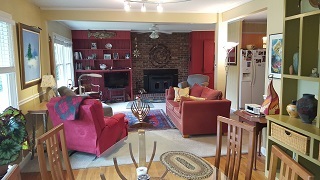 The family room enjoys a brick wood burning fireplace and built in shelves. A new master bedroom and bathroom have also been added. 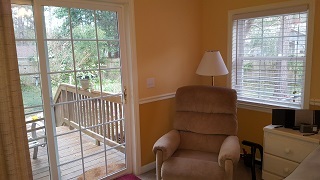 It has convenient access to the back deck. 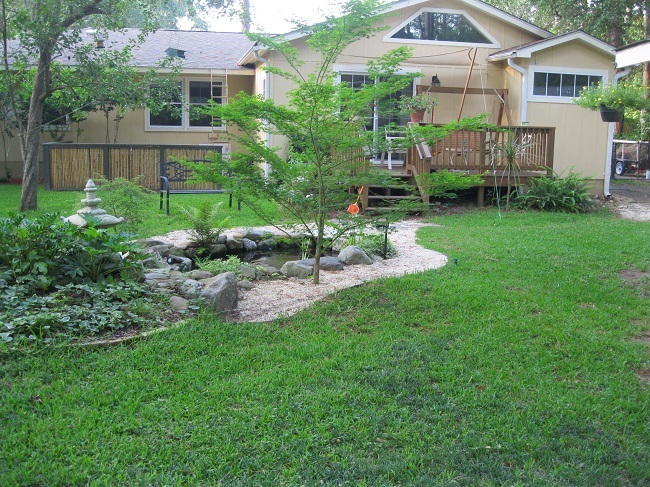 The fenced backyard has a tranquil pond that is complimented by the beautiful landscaping. There is plenty of room to entertain. The detached building could be used for a two car garage or garage and workshop. Mossy Oaks is an established neighborhood located in Beaufort SC, close to downtown Port Royal and Historic Beaufort . The Mossy Oaks area is draped in Majestic Live Oaks and is a wonderful area for biking and walking. 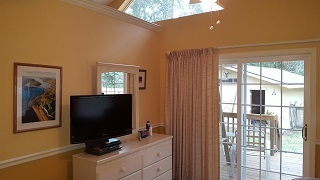 It is an ideal location due to its proximity, just a short walk to Beaufort Memorial Hospital or the nearby schools, Mossy Oaks Elementary and Beaufort Middle School. Our Team of Real Estate Professionals specialize in Beaufort South Carolina, which is in the heart of the Lowcountry. We offer full service Real Estate Listing Services, Buyers’ Representation, long term property management, vacation beach rentals, and real estate investment. Visit our local office at 910 Charles Street, Beaufort SC 29902 or call (843) 521-2022. Our Clients' Testimonials - Thank You! ® - Beaufort Realty ConsultantsTM is a Registered Trademark of Bennett Enterprises Limited, Inc. in the State of South Carolina. Our Expanded Network of Real Estate Colleagues: Altoona PA Real Estate, Folly Beach SC Real Estate, Franklin TN Real Estate; connector Real Estate SEO Trainer Key Yessaad.